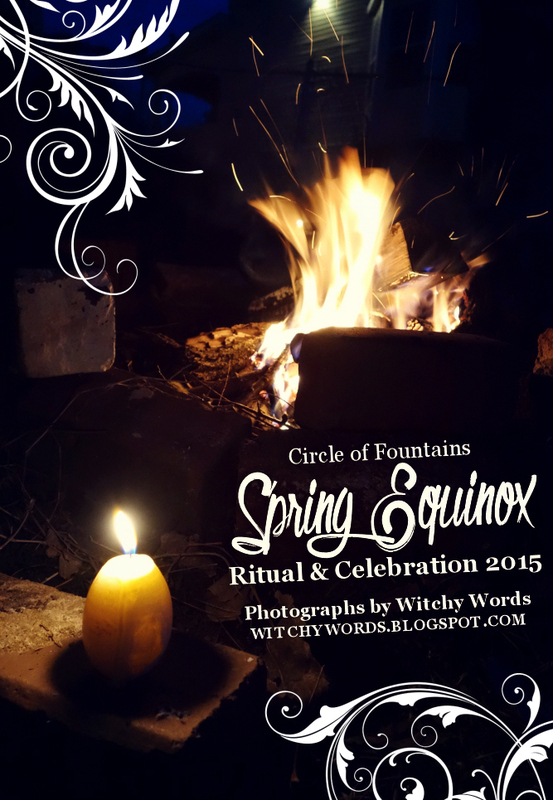 This post will cover the Spring Equinox ritual and celebration held by the Circle of Fountains. My Spring Equinox altar is coming soon! For all Spring Equinox related posts, click here! 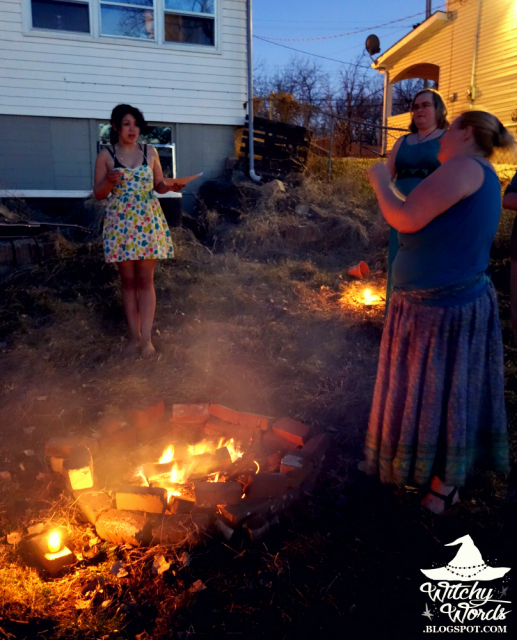 Circle of Fountain's Spring Equinox ritual was written and hosted by Kolika this year (you can find her blog here!). 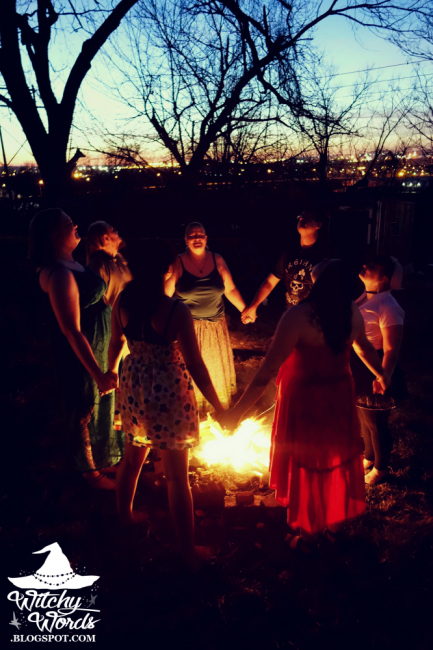 This year's Spring Equinox/Ostara rituals are all over the place! Liithi Lushede's won't be until the 29th, and we held out personal ritual a week ahead of time on the 15th. That's more than okay because it gives us each time to celebrate the sabbat on our own this upcoming Friday. The equinoxes represent perfect balance, with the equal length of day and night. However, after the day of the Spring Equinox, the length of the day will now be longer the length of night. The land is becoming warmer, which means it is now fertile and ready for life. Called Ostara in some denominations, this sabbat is sometimes closely associated with the Germanic goddess Ēostre. Ēostre is closely tied to fertility symbols such as the egg or the rabbit, and is thought to be the root behind the original word for Easter. Whatever it is that you believe, the greatest theme of this equinox is fertility and growth, both in the garden and within yourself. These themes are clearly reflected inside Kolika's ritual. 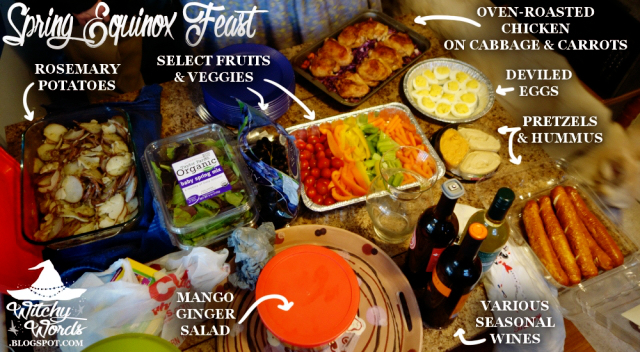 We began the evening with a potluck feast. 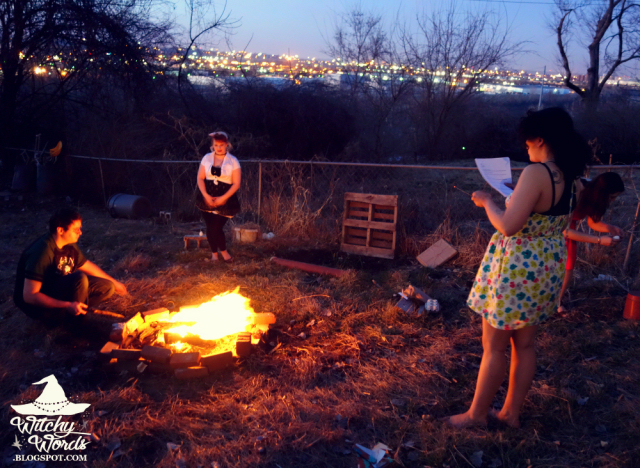 Every sabbat, each member of the circle signs up to bring a specific dish. We've even begun tailoring dishes to fit the various needs of each member, such as the need to be gluten-free or vegan-friendly. This provides a diverse arrangement of food to eat before ritual! 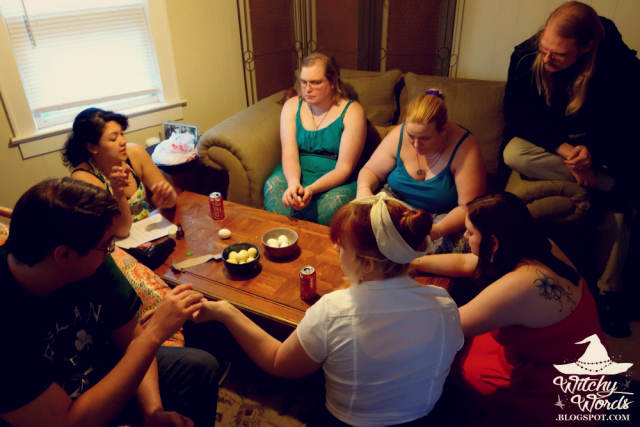 Once we finished eating, we sat down for our sabbat activity. 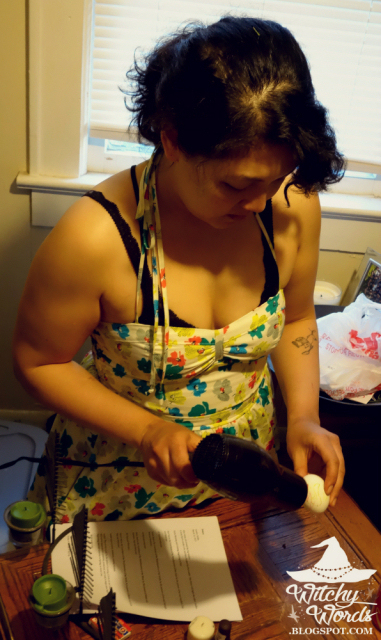 During the day, Kolika hard-boiled eggs and even dyed a set naturally using onion peel (you can see her tutorial for naturally dyeing Ostara eggs here!). 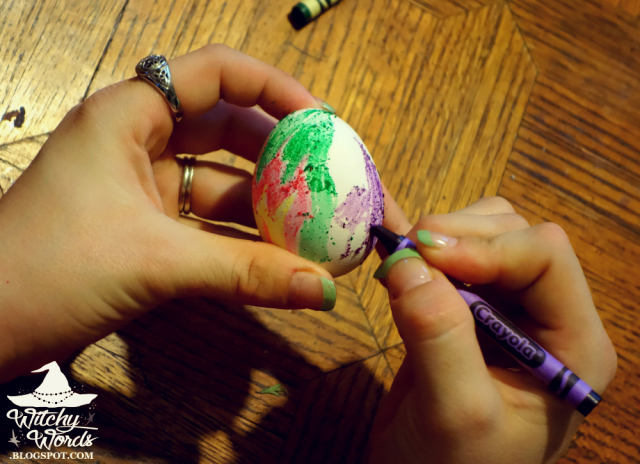 Using crayons, we were to decorate two eggs. One egg was to represent something we wished for ourselves during the spring. The second egg represented something we wished for the earth for spring. Once each egg was colored, we used a hairdryer to melt the wax and smooth it together into beautiful, watercolor-esque designs! After we completed our eggs, it was the perfect time for ritual! 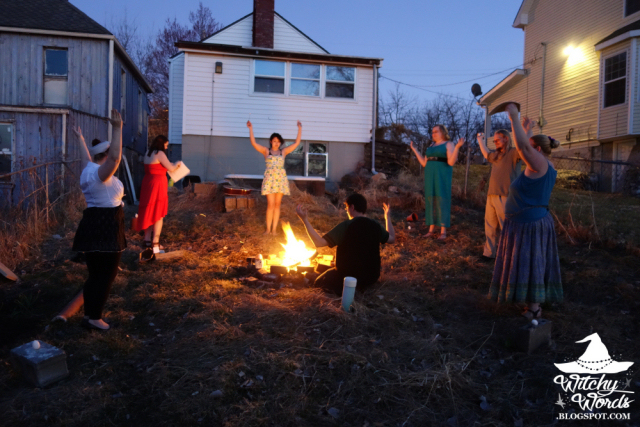 Kolika wanted to hold the ritual at sunset because it's the time in between night and day and was perfect for the equinox. In addition to a beautiful sunset, Kolika's backyard provides a perfect view of downtown Kansas City. Circle of Fountains derives its name from Kansas City's nickname, the City of Fountains, and thus this view is incredibly fitting for out group. 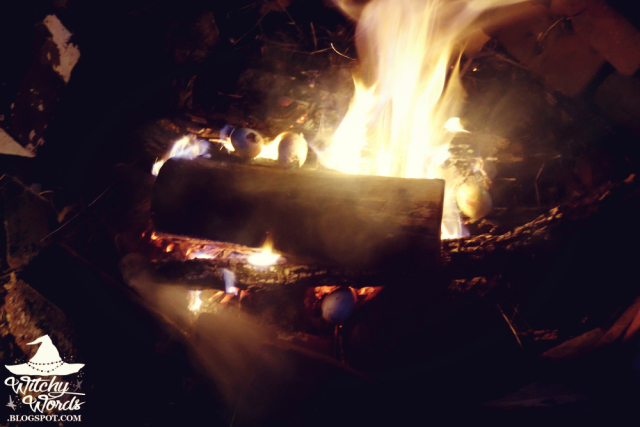 We began by lighting a fire in the center of the circle and then lighting an egg-shaped candle from that fire. 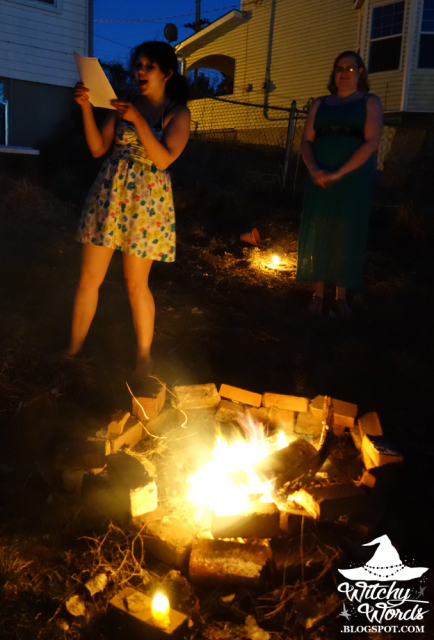 We then lit the other candles from that flame, calling each corner to join us. Kolika then traveled the circle with incense to cast the circle and claim it as sacred space. 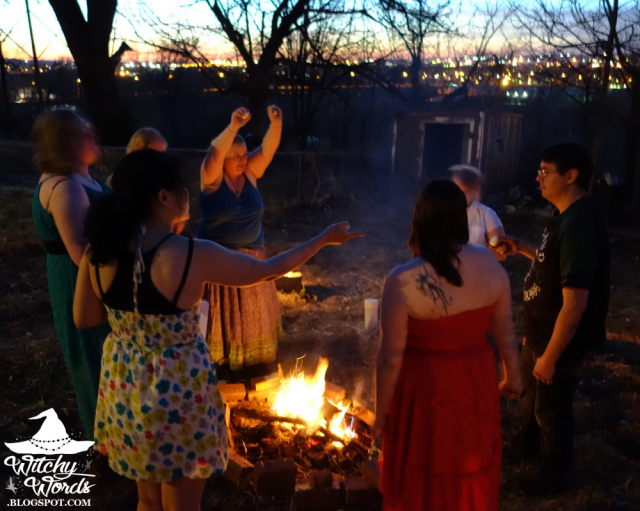 To begin the ritual, Kolika explained the balance of the equinox and the need for growth on the first day of Spring. She then asked us to come forward individually and "plant the seeds of our desires" by stating what we wish for ourselves this spring, then tossing our egg into the fire. 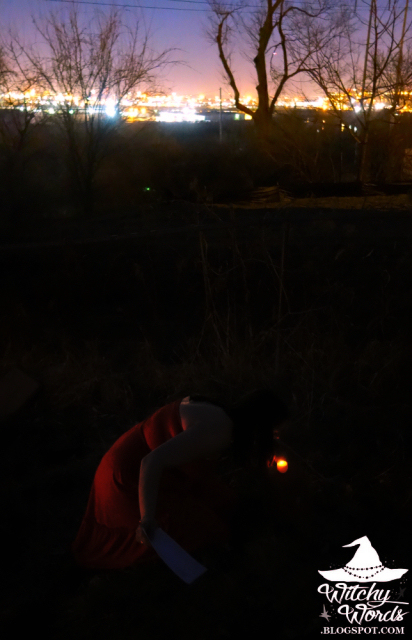 We were then asked to come together as a group and toss the eggs we decorated for our wishes to the Earth into the flame at the same time, calling out our wishes together. 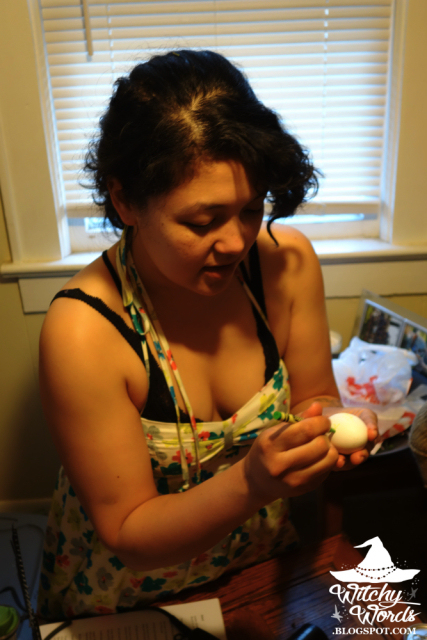 Throughout the ritual, eggs would occasionally pop, signaling a wish that came true. Of course, because of potential risks, we kept safety precautions on hand. 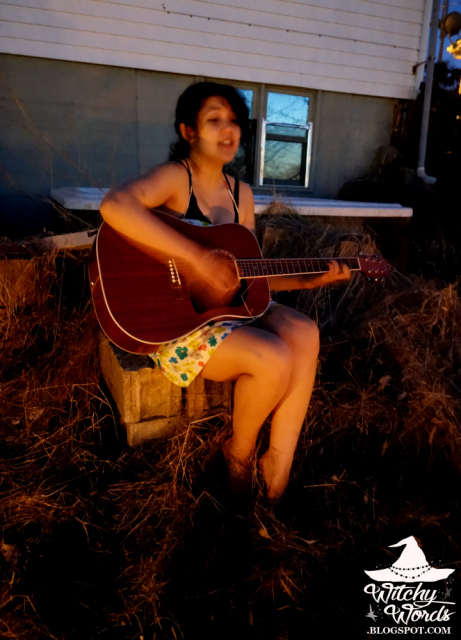 Kolika then returned with her guitar and asked us to let the energy of the earth coming alive fill us as she serenaded us with song. To build that energy, we swayed with the wonderful music and even bumped a few hips. Once the energy was sufficiently built, we returned to the center and held hands. Kolika asked us envision a garden and meditate on the sprouts growing and blossoming. The blossom, she said, holds a sign for us in the coming days. And with that, our ritual was complete! We gave thanks to each of the directions and to the center, and thus closed the circle. But festivities weren't over just yet! 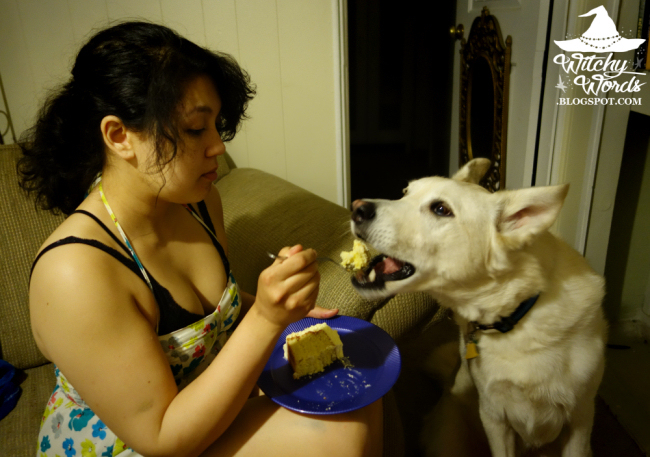 Kolika just turned 27, so we proceeded inside to celebrate her birthday with wine and cake. And yes, her familiar Howl even got some too. Happy birthday, Kolika! And that concludes the Circle of Fountains Spring Equinox ritual for 2015! 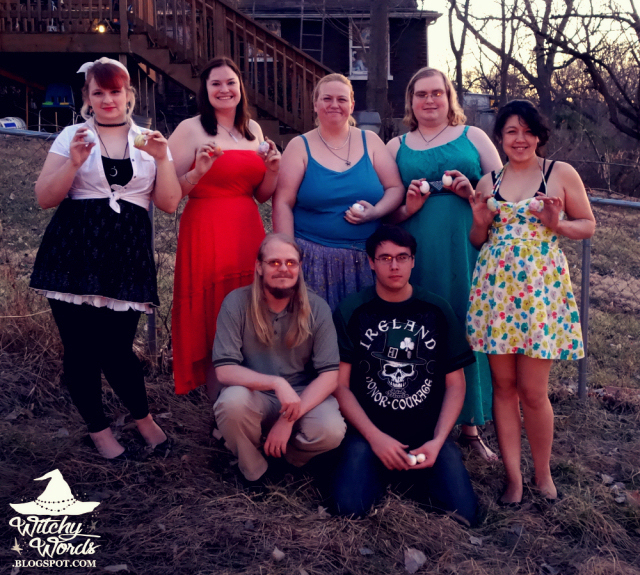 From my family to yours, have a blessed Ostara! 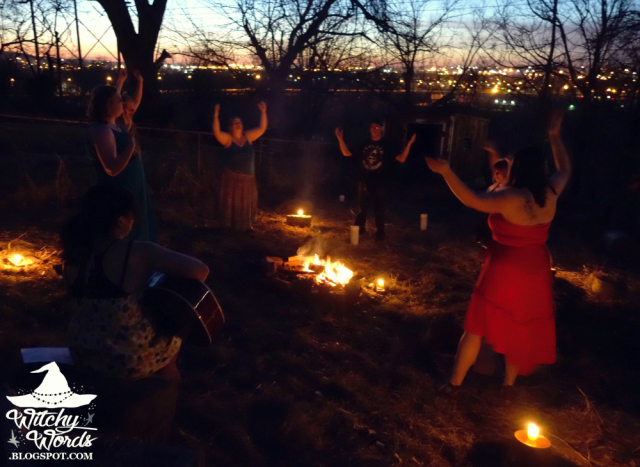 To see the previous sabbat, Imbolc, click here! A collection of sabbat related entries can be found here. What a great ritual ! It's funny to see that you don't have snow at all. Where I live we still are under one feet of snow at least and the temperature is shyly rising and it's still cold outside. Yikes! That doesn't sound very spring-like, does it? The northern part of the US got a ton of snow, but we really didn't get much precipitation at all this winter in the Midwest. In fact, for much of December, we saw 60F (16C) days. Very unseasonal. 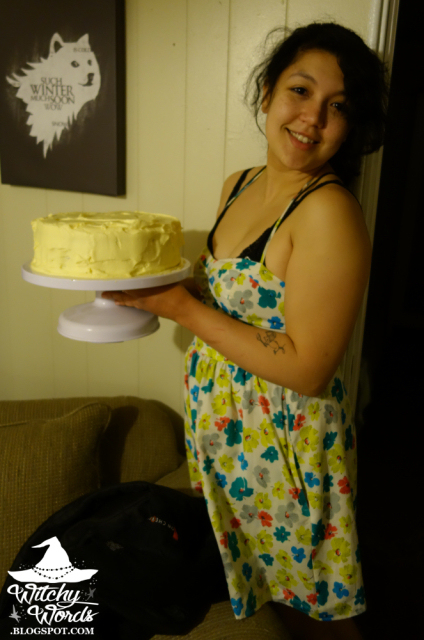 Happy Birthday to the sweetest girlfriend/wife learn here ever! You deserve all the success, happiness and love in the world. Let’s celebrate this special day of your life together.